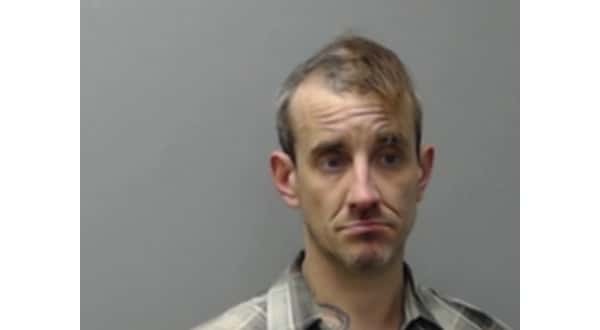 A Mountain Home man fleeing from authorities attempting to arrest him in December on multiple drug charges was arrested during the weekend. Thirty-five-year-old Ricky Glover is in the Baxter County Detention Center with bond set at $22,150. According to Mountain Home Police Chief Carry Manuel, a patrol officer located a small lawn mower-type trailer late Sunday morning at the edge of a wooded area on Drillers Lane. The officer approached the trailer and located two small fire safes that had been pried open on the ground. A second officer arrived, and both officers followed a nearby trail to a portable building where they could hear a male and a female voice. The female exited the building, and the male, identified as Glover, later appeared. Glover had been accused of multiple drug sales to confidential informants dating back to late August. Officers attempted to arrest him at his residence a week before Christmas. Glover fled the residence, and the K-9 unit eventually lost track. Glover faces three felony counts of delivery of a controlled substance (methamphetamine), three felony counts of unlawful use of a communications device and three misdemeanor counts of failure to appear.